Ingrid Bolsø Berdal will be honored with The Artemis Action Next Wave Award. 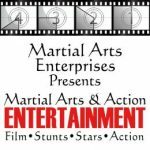 Cynthia Rothrock to receive The Artemis Action Lifetime Achievement Award, Gina Carano will be honored with The Artemis Action Warrior Award, and Luci Romberg also to be honored with stuntwoman award. The Artemis Women in Action Film Festival, held this year from April 20 – 23, 2017, is thrilled to announce honors for Ingrid Bolsø Berdal, Cynthia Rothrock, Gina Carano and Luci Romberg at their next edition of the festival in April of this year. Ingrid Bolsø Berdal captivated audiences as the character “Armistice” in season one of HBO’s Westworld, will receive the Artemis Action Next Wave Award at the upcoming Artemis Film Festival. Ms. Berdal is an alumnus of the prestigious Oslo National Academy of the Arts and rose to prominence in such action films as Cold Prey, Hansel & Gretel Witch Hunter and Hercules. With her role as Armistice, she is certain to be at the forefront of the next wave of female action heroes. Action star Cynthia Rothrock (China O’Brien, Lady Dragon, Rage and Honor) will be honored with The Artemis Action Lifetime Achievement Award for her extraordinary body of work comprising over 50 action films. A holder of a black belt in seven martial arts disciplines, Ms. Rothrock is a legend both in Hong Kong and the US and has one of the most extensive female action career of any woman in the world. Gina Carano will receive the Artemis Action Warrior Award for her contributions to the female action genre and women’s mma. A skilled martial artist and one of the most popular and successful women’s mma fighters ever, Ms. Carano has gone on to star in several action films including Fast & Furious 6, Deadpool and most notably Haywire where she electrified audiences as Mallory Kane. She continues to build an impressive career as a go-to woman for action movies. The Artemis Women in Action Film Festival will also honor Luci Romberg as part of the next generation of stuntwomen icons. A regular stunt double for Melissa McCarthy, she has made a name for herself for her stunt work in films such as Ghostbusters, Spy, Identity Thief, Jason Bourne and Green Lantern. A gifted athlete, Ms. Romberg is also one of the world’s top practitioners of freerunning. 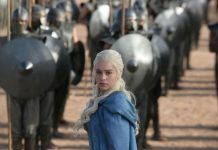 She will certainly be at the forefront of the stunt world for many years to come. 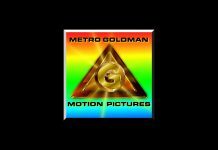 A first of it’s kind, inspired by the popularity of the genre, its longevity, and their love of film, Artemis Motion Pictures is producing the world’s first film festival devoted exclusively to honoring female driven action films. 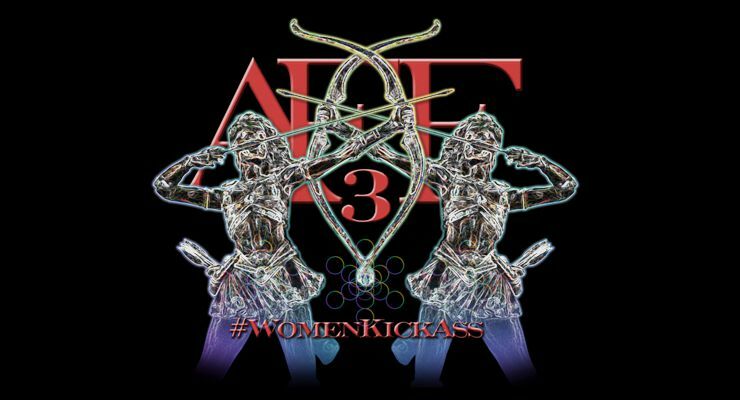 Artemis has been attracting the attention and support of high profile influencers such as Paul Feig, Carrie Fisher, Rosie O’Donnell, Patricia Arquette, and Wynonna Judd all of whom have graciously helped boost the popularity of the official hashtag, #WomenKickAss.